As I struggled to find a group of women to call “friends,” I listened to a variety of unhealthy narratives to help me make sense of the lonely transition. My first narrative: “it’s not me, it’s you!” The girls must be flaky, shallow and mean—that’s the only way they know how to do friendship. It couldn’t possibly be a “me” issue. Next, I blamed God. God was withholding good things from me. He didn’t want me to experience a life-giving community. He was responsible for feeling stuck in a friendship limbo to suffer four long years. Eventually, I started to feed off of the worse voice of all: the lies the enemy told me! God had made me all “wrong.” I must be unlovable, incapable of making friends and would never fit in. I didn’t deserve friends. I was a bad person. The more I wrestled, the more God softened my heart (and silenced those voices) to see more clearly what was going on: I lacked clarity in the process of community-building. I didn’t have a game plan. I didn’t fully understand what a friend was or what kind of friend I wanted to be. So, instead of hoping people would read my mind, I outlined what godly friendship would be for me in this season. To get to the heart of friendship, we define what it will be for us in each season. Did I still wrestle with what friendship meant in this season? Yes. Did I still have days where I felt lonely? Yes. But the new purpose I felt eased the painful transition of making new friends and gave me hope! If I kept pursuing people and being faithful to my community, then a few friendships would blossom from those efforts. You are not the only one who has ever asked herself: “who are my people.” It’s time to take control of the narrative and trust God to align your view of community with His. 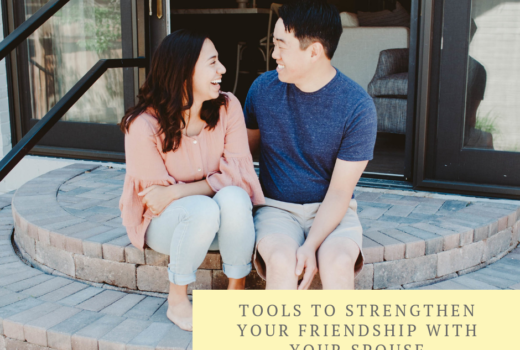 I have created FREE friendship journal prompts to help you navigate what friendship means to you in this season and how you can create time to grow your friendships despite your busy schedule. Click here to download the Friendship Journal Prompts! I hope you find the same hope, clarity and truth in your friendship efforts as I do every time I work through these exercises.